During the last 20 years The Writing Studio has shaped the successful careers of many of South Africa’s leading filmmakers and storytellers, and is now honing the skills of future writers in the art and craft of storytelling. The Write Journey begins with the realisation that you are not writing a screenplay, novel or stageplay, but that you are writing a story that will evolve into a screenplay for film or television, a novel, or stageplay. Your story will dictate what medium it is best suited for: if it’s a story happening visually, you are writing a screenplay, if it’s a story that takes mostly place in the mindscape of characters you are writing a novel, and if your story is dialogue driven, you are writing a play. The heart of story is story events and the soul of story is its theme, and each medium has its own unique audience / readers. Ideal for writers who want to write for film or television. It is ideal for novelists and playwrights who would like to adapt their stories into a visual medium. It is perfect for first-time writers who would like to define their writing skills, and also recommended for seasoned writers who are trapped in the web of re-writes and unfinished projects, or lost in the maze of the daunting writing process. 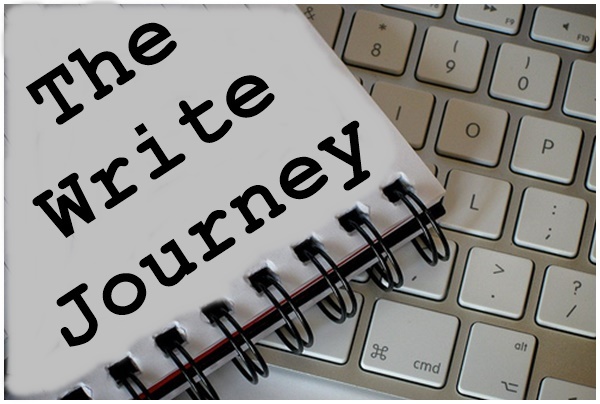 The Write Journey is an interactive, intimate and introspective journey into the world of story, empowering writers to take ownership of the creative journey, and creative expression. The Write Journey not only offers a journey into the world of story, but is equally an introspective exploration into what it takes to be a writer. It explores the full dramatic or comedic potential of stories and empowers storytellers to write a compelling story that will reflect the uniqueness of their culture, history and experience. There are 12 units (with sub-sections); each section consists of user-friendly and comprehensive notes that includes self-tasks (which you complete at your own time), and a task. You will read through the notes which include self-activities (for you to complete in your own space and at your own pace) and tasks (for you to complete and forward via email). Once your coach has read through your task and there are no questions pertaining to the specific unit, you commence to the next step. The course begins as soon as we receive your registration form and deposit details. You will have the choice of commencing at your own pace or work according to set deadlines. The course is done online, via email, offering a one-on-one interaction between yourself and your coach. “…everyone has a story. The door that The Writing Studio opened for me was my first introduction to my love and appreciation for film. Today I am a Director and a Scriptwriter. My call to adventure has just begun but in order to know where I’m going, I have never forgotten my roots… I have to say thank you to Daniel Dercksen for introducing me to the world of scriptwriting. For it has opened so many doors for me, my family and friends, since my first writing lesson.” Ross Van Leeve, shortlisted in Kevin Spacey Jameson’s First Short Film Competition.